I think the above quote sums up parenthood (motherhood, in my case) just about perfectly. The countless sleepless nights, never-ending tantrums, spilled food, the tears that seem to come suddenly out of the blue, the endless reasoning and chastising – all of it did seem overwhelming and interminable when I went through it with the bub as a toddler. However, there were also innumerable sloppy kisses, toothless grins, tight hugs, endless cuddling up, reading, visits to the park, baby talk, playing peek-a-boo, dressing up, pretend cooking and what not. These were the good parts, which kind of balanced out the overwhelming bits. 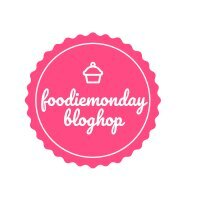 This week, the theme at Foodie Monday Blog Hop is just that – #ToddlerFingerFoods, as suggested by Poonam from Annapurna. For this theme, which is super close to my heart, I decided to prepare pretty Cocktail Idli Flowers, naturally coloured mini idlis arranged into flowers. I have added pureed beetroot, carrot and spinach to home-made batter, to create three different colours of idlis. This has always been a favourite with the bub and when I made it again for her last week, she happily gorged on them all over again. Let’s now see how to go about making these coloured mini idlis, shall we? 1. Take 1 cup of idli batter in three separate mixing bowls. Keep it tick, without adding any water to it. 2. Wash the spinach leaves thoroughly under running water. Ensure no mud or dirt remains on them. 3. Bring about 1 cup of water to a boil, and add in the spinach leaves. Blanch the spinach – let the leaves stay in the boiling water, on high flame, for 1 minute. Switch off gas, and transfer to a colander. Let all the water from the spinach drain away. Allow to cool completely. 4. Meanwhile, peel the carrot and beetroot. Cut them into large-ish pieces, separately. 5. Pressure cook the carrot and beetroot separately, with a little water, for 3 whistles. Use very little water. Allow the pressure to release naturally. 6. When the blanched spinach has completely cooled down, chop it finely. Grind it in a small mixer, with a little water. Add the spinach puree to the idli batter in one of the mixing bowls. Add salt to taste. Mix well. Keep aside. 7. Drain out the water from the cooked beetroot. Chop finely. Grind to a puree in a mixer, using very little water. Mix the beetroot puree to the idli batter in the second ball, along with salt to taste. Mix well. Keep aside. 8. Similarly, drain out the water from the cooked carrot. Chop it finely, and grind to a puree using a little water. Add the carrot puree to the idli batter in the third mixing bowl. Add salt to taste and turmeric powder. Mix well. Keep aside. When idli batter looks so pretty! 9. Grease mini idli plates with oil or ghee and keep ready. 10. Spoon a little idli batter into each cavity of the greased plate, one colour at a time. Steam for 12 minutes. Allow to cool down a bit and then remove the cooked idlis. 11. Arrange the idlis in the shape of flowers on a serving plate, warm or at room temperature. Decorate them with sticks of capsicum and fresh coriander. Serve immediately. 1. Don’t add any water to the idli batter. Keep it thick, since you will be adding pureed vegetables to it later. 2. You may add a little ginger and green chilly paste to the batter too. I haven’t. 3. 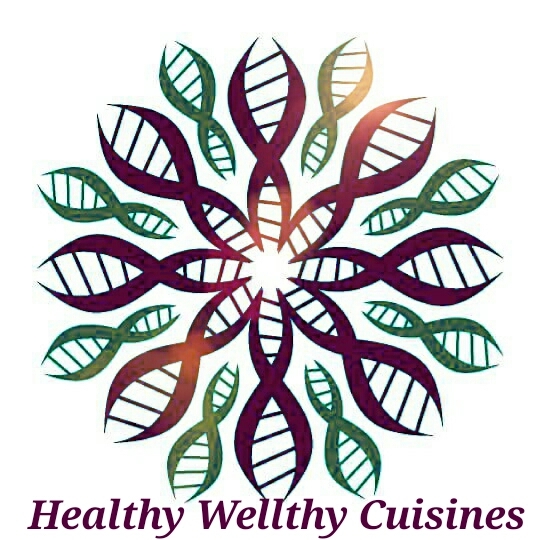 While chopping the cooked veggies and pureeing them, make sure the colours don’t mix. Do the chopping and grinding one vegetable at a time, washing the knife and mixer thoroughly in between uses. 4. Since we are grinding very small quantities of veggies here, use the smallest jar of the mixer. 5. Add very little water while grinding the cooked veggies, otherwise the batter will become runny and the idlis will not turn out well. 6. You can serve these mini idlis with sambar, chutney or podi of your choice, but they don’t really need any accompaniment. 7. I have used a gas-based mini idli cooker to steam these colourful idlis. It is a time-consuming and laborious affair, indeed, to make them, but the end result is totally worth it. You may use ordinary idli plates with big cavities to steam the idlis instead, too. 8. Don’t steam the idlis for any more than 12 minutes. First, let the water in the idli cooker base come to a boil, then place the plates with the idlis on, and cook for exactly 12 minutes. More than this, and the idlis stand a chance of becoming hard. 9. You may add a couple of pinches of baking soda or Eno Fruit Salt (plain) to the batter, just before steaming. I haven’t. 10. Allow the steamed idlis to cool down slightly before removing them. Otherwise, they’ll be too sticky and might lose their shape. 11. 70 idlis of each colour might seem like a very large number, but I’m talking about very small, ‘baby’ idlis here. An adult can easily have 20 of these at a go, at the very least. 12. Any leftover mini idlis can be made into a stir-fry or upma the next day. This recipe is for the Foodie Monday Blog Hop. The theme for the week is #ToddlerFingerFoods. I’m also sending this recipe to Fiesta Friday #253. The co-hosts this week are Liz @ Spades, Spatulas, and Spoons and Mila @ Milkandbun. what a lovely lovely platter there, Priya 🙂 these are soooo cute and inviting ! I wouldnt mind being presented one of these sometime ! How adorable these colorful mini idlis look Priya ! Loved that they are naturally colored which not only makes them appealing but also a clever way to add wholesone goodness of vegetables to a kid’s diet. Great share for the theme ! Thank you so much! 🙂 Yes, these idlis are a pretty way to get kids to eat some wholesome food. Priya this definitely would attract any toddler to enjoy healthy food. Beautiful and just right for the theme..cute little food portions for tiny fingers. Idli platter looks so beautiful Priya. Loved your write up. And you also made these healthy by adding vegetables. I am sure kids will love these adorable idli. Perfect share for the theme. Thank you so much! 🙂 The bub surely loved this idli platter. Beautiful idllis flowers.. loved these.. I was initially thinking of making colored idlli bites.. beautiful flower arrangement for little cuties!! Super cute. You brought back those loving memories. I will make this for my toddler like behaving more older children, I am sure they will still love it. Awww how cute these are looking. You cant believe I thought of making something like this. somehow changed the mind as I had fesh chhena at my place Lovely share indeed !! beautifully presented.. love these idli and the idea of using veggies to add the color..
Toddler food that is healthy and colourful, just what they need at that age. I dont think adults would also mind couple of servings of these beauties. Good One Priya. So cute these are, and with the benefit of adding nutrients to the idlis! Im sure my littlest grandchild, not yet 2 but quite fond of food already, would love these pretty coloured idlis. As would the older grandchildren too!